*source* Sun City is a census-designated place and unincorporated town in Maricopa County, Arizona, United States, that is within the Phoenix metropolitan area. The population was 37,499 according to the 2010 census. Its adjoining sister city is Sun City West. Both cities are retirement communities popular with snowbirds. 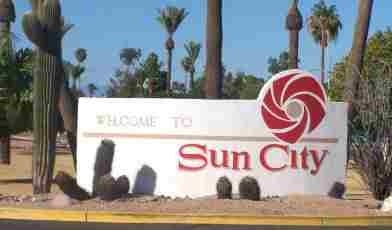 Sun City was opened January 1, 1960, with five home models, a shopping center, a recreation center, and a golf course. The opening weekend drew 100,000 people, ten times more than expected, and resulted in a Time magazine cover story. 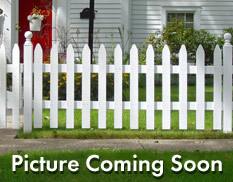 The future retirement community was built on the site of the former ghost town of Marinette. Developer Del E. Webb expanded Sun City over the years, and his company went on to build other retirement communities in the Sun Belt. Sun City West was built in the late 1970s, Sun City Grand in the late 1990s, Sun City Anthem in 1999, and Sun City Festival in July 2006. The community is well known to law students, as it is featured in the case Spur Industries v. Del E. Webb Development Co., 494 P.2d 700 (Ariz. 1972), commonly used in first-year property law courses to illustrate nuisance law. The community's street network design consists largely of concentric circles in four main pinwheels.